Let's not mention the very affordable prepaid plans that the three major telecommunication networks are offering. Internet connection sure is so cheap. However, the government is planning to make this even cheaper by eyeing the so-called "Super Wi-Fi" that would be activated nationwide. But what is this "Super Wi-Fi" really means? The government said that they are planning to use the TeleVision channels - White Space (TVWS). 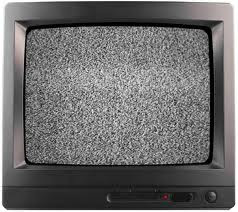 TVWS are channels feeding to our ordinary antennae in which your television set would give a white noise video output and hissing sound should you tune to it. The government said that this channels were used to be the "guard bands" and intentionally left unused to avoid interference between television networks' channels. Advancement in technology however removed the needs of these dead channels. Louis Napoleon C. Casambre Executive Director, Information and Communications Technology Office of the Department of Science and Technology (DOST-ICTO) said on an interview that they've been looking for the possibilty of this project. Should this become possible, national telcos can participate on this bandwith, removing the need of them to install cell sites. The maintenance of this Super Wi-Fi is also much lower and would make the end users to pay 10% lower than the current rates. According to Casambre, current available TVWS equipment can boost up to 6 Mbps of data throughput at a maximum range of ten kilometers. With this strong signal, users can use indoor antennas and still get stable signals. Should this become reality, Casambre said that the government would take at least three years to connect schools, medical centers, disaster migration and other rural areas of the country.